A new book and photo essay published by Scribe in Nov 2017, featuring interviews with, and photographic portraits of, former staff and inmates of Pentridge Prison. The book also provides a portrait of the prison itself, through photographs taken between 2008 and 2010, before much of the site was demolished as part of its redevelopment as a housing estate. 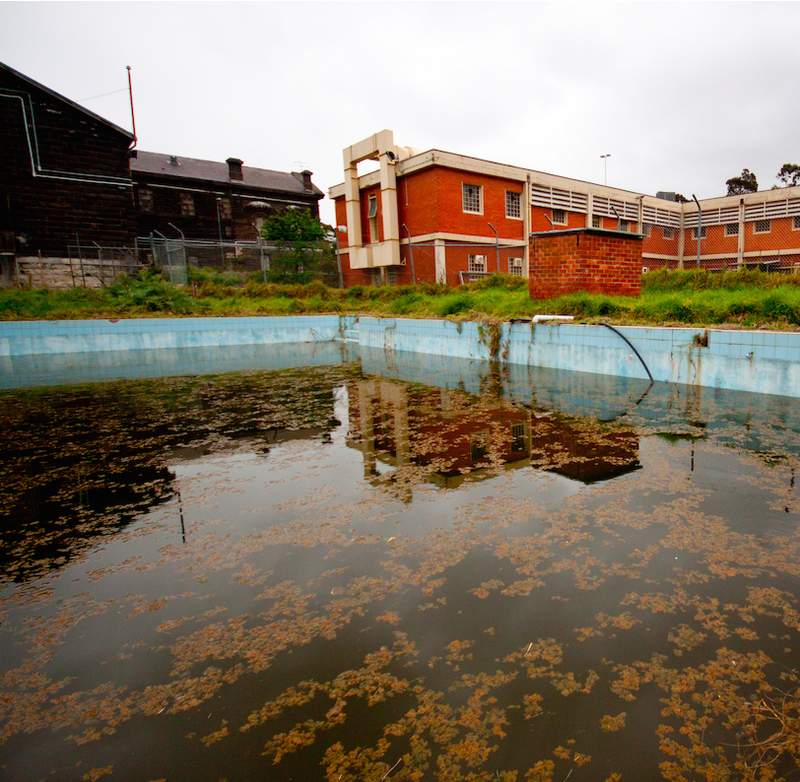 Members of the last generation of inmates and staff return to this now-forgotten prison to tell the true and brutal story of Pentridge before development buries it forever. Within the derelict walls of this once shining fortress, fifteen people return to their memories and to Pentridge — many for the first time since being released or having retired up to 60 years before — to bear witness to its end and to be photographed amongst the decay as a testament to the resilience of the human spirit. They include former prisoners, such as Jack Charles, Billy Longley, Noel Tovey, and Ray Mooney; former staff, such as Peter Norden and Pat Merlo; musicians who played there, such as Paul Kelly; and Brian Morley, a legal witness to Ronald Ryan's execution in 1967. Pentridge was, for 146 years, a concentrated intersection of disparate song lines and an integral if unwanted part of Melbourne’s identity. This work is an attempt to hear the voices of the last generation to live and work at Pentridge. After thousands before them, they are now the only ones who can tell the tale before the prison is redeveloped as a housing estate. This is the story of Pentridge Prison, as told by those who lived it. 'You could get over the top of me by killing me, of course. Former prisoner, Ray Mooney and former prison officer, Pat Merlo along with Rupert Mann, are interviewed by the great Phillip Adams. Rupert Mann is interviewed by Kulja and Dylan. Rupert Mann is interviewed by Virginia Trioli and Michael Rowland. With an article by Patrick Wood. A Life Sentence By Sian Powell. Rupert is interviewed by Susan Carland. Former prisoner, Ray Mooney, and Rupert Mann are interviewed by Marisa Sposaro. Former Pentridge chaplain Peter Norden, former prisoner Jack Charles, former prison officer Pat Merlo and Rupert Mann are interviewed by Hilary Harper. Fiona Capp reviews the book. Journalist Theingi Lynn interviews Rupert and reviews the book.